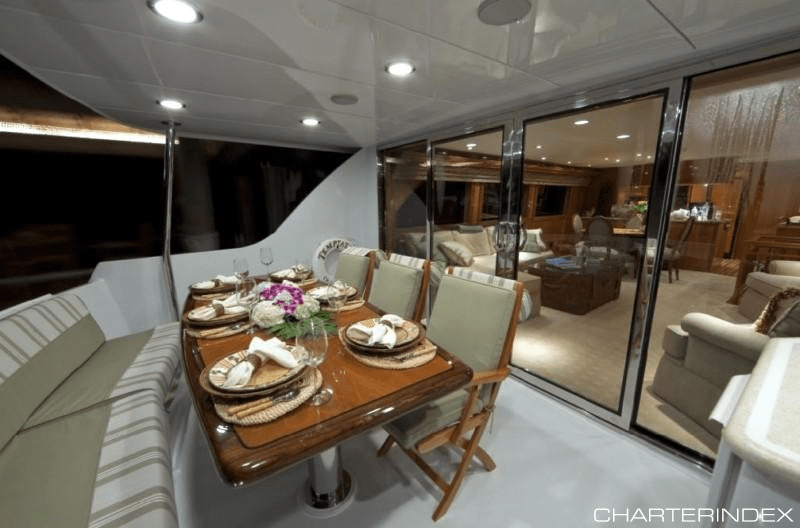 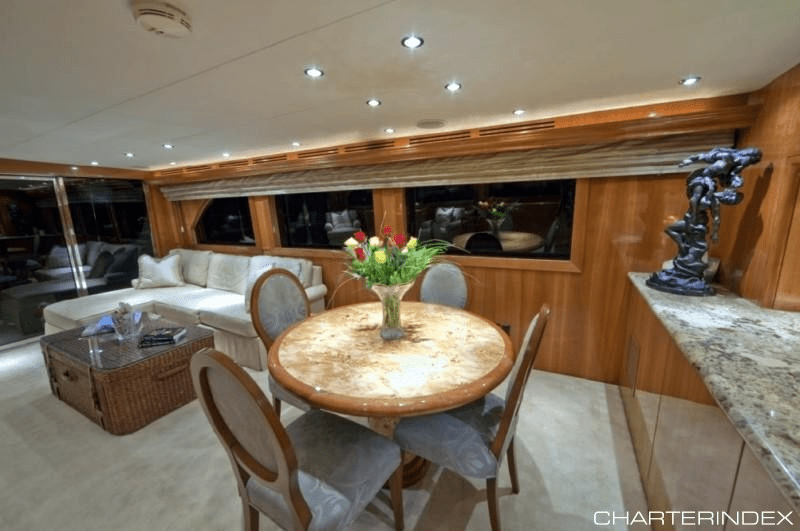 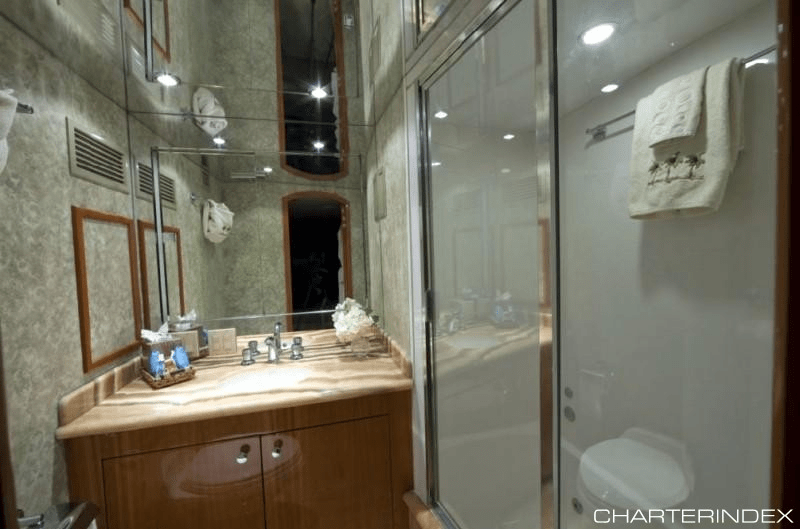 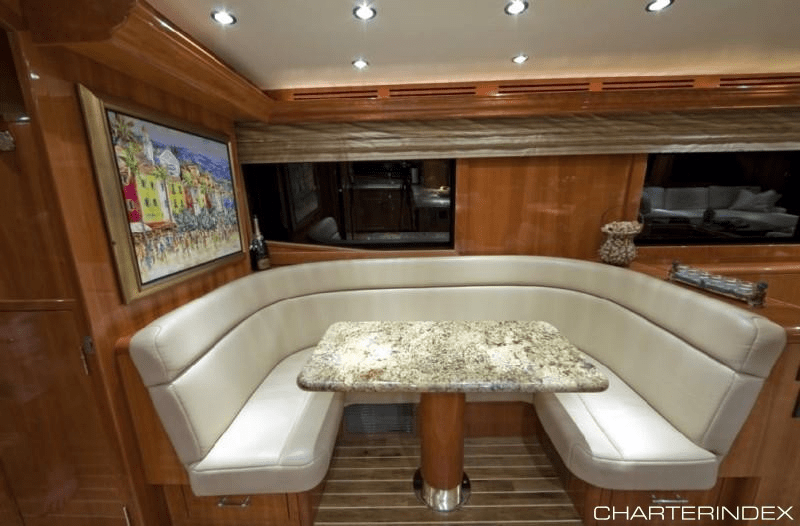 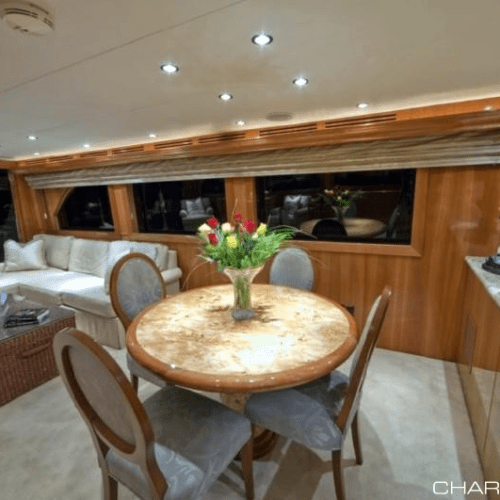 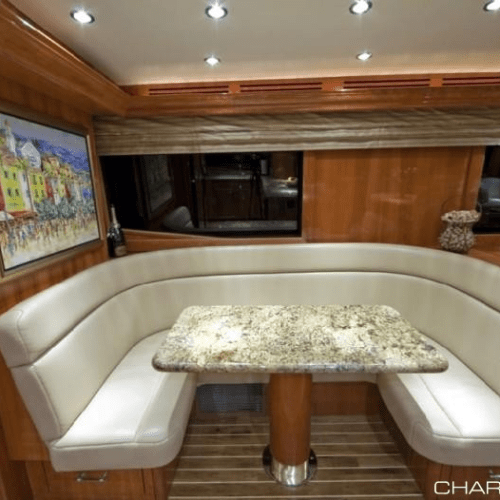 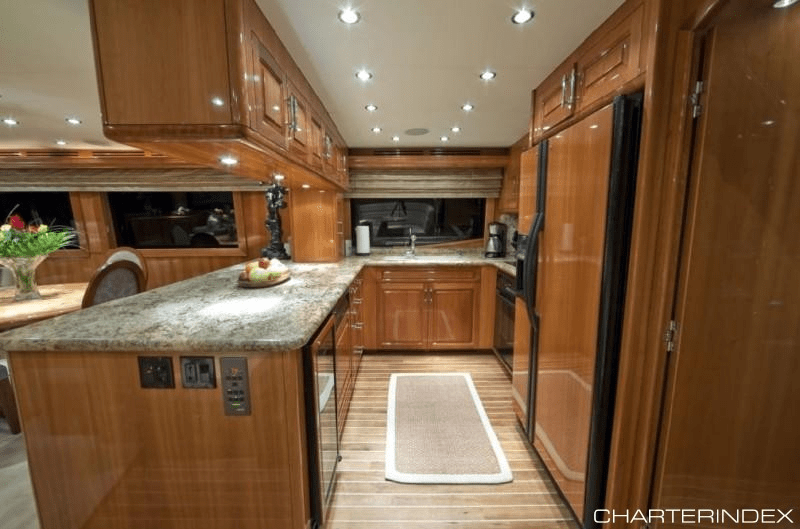 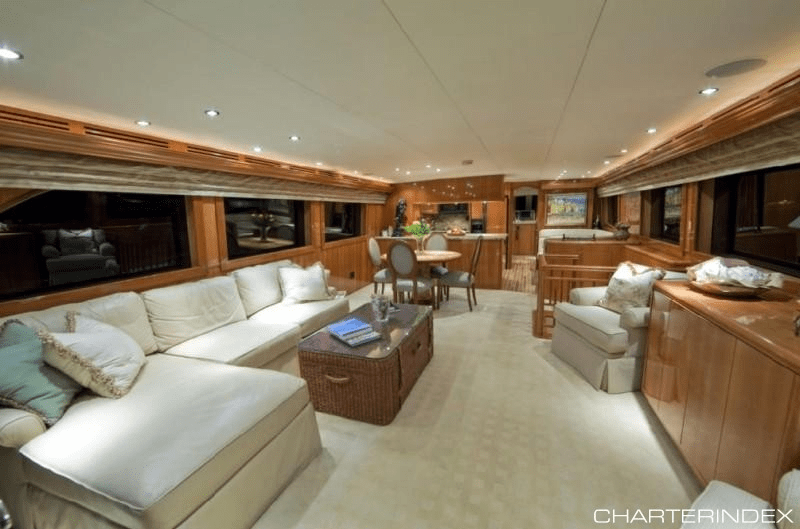 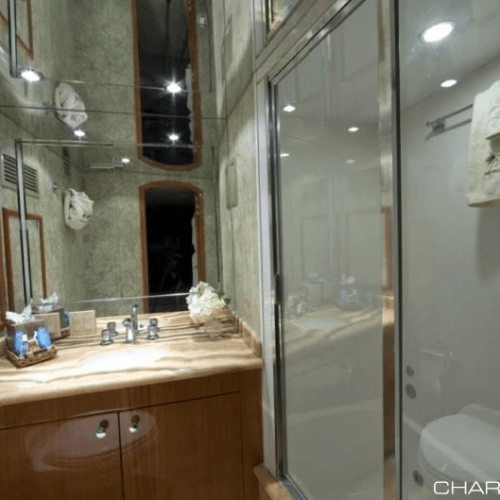 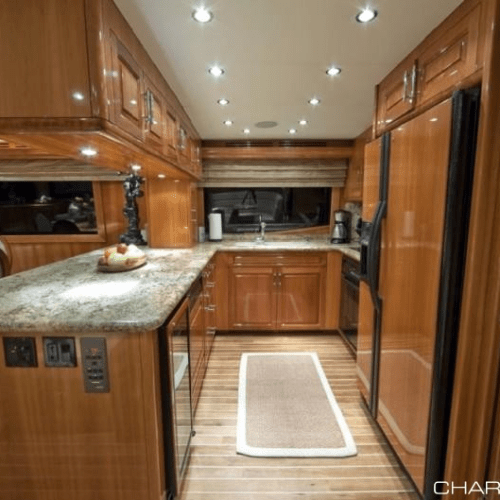 Built with a wide open airy floor plan, this vessel was created with socializing in mind. 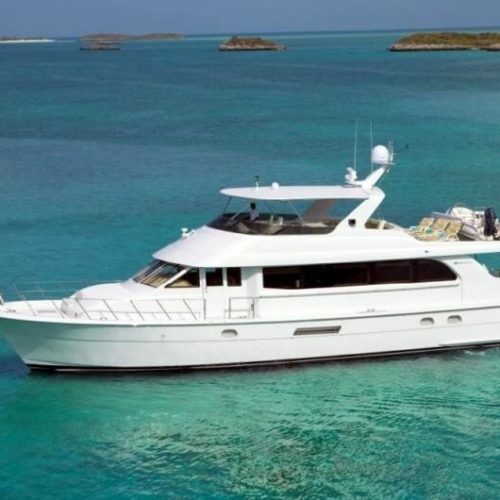 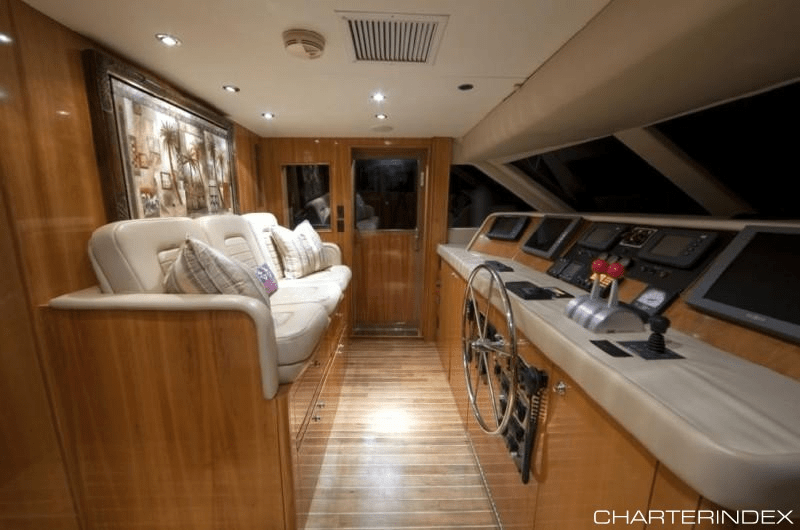 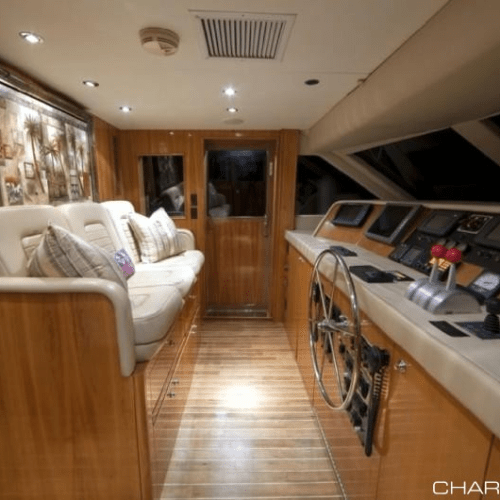 Along with a full galley, a formal dining area, a breakfast bar, and a starboard dining area, this vessel may have been built for sleeping 6, but it has a capacity suited towards entertaining. 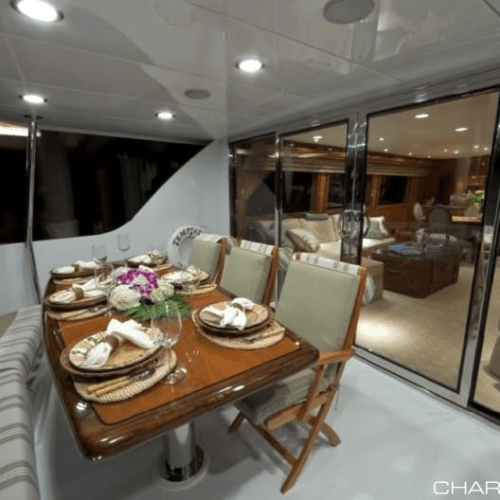 The exterior of the yacht has two decks with ample sun and shade space. 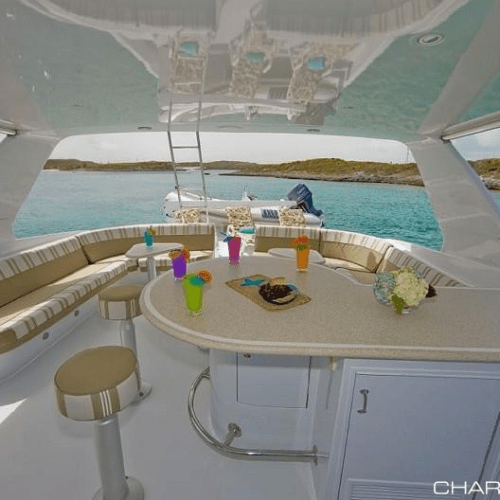 An extended swim platform provides easy access to the water and the numerous water toys that come with this immaculate vessel. 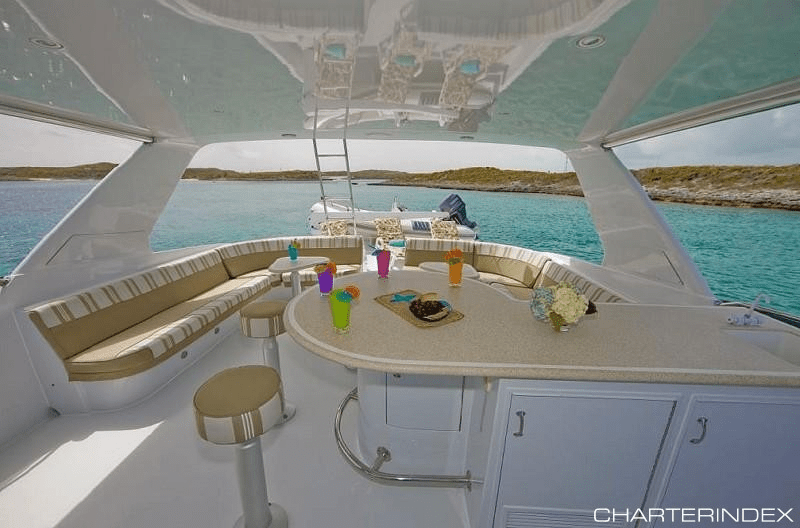 The upper deck features a wet bar, deluxe seating and lounging areas for optimal guest relaxation. 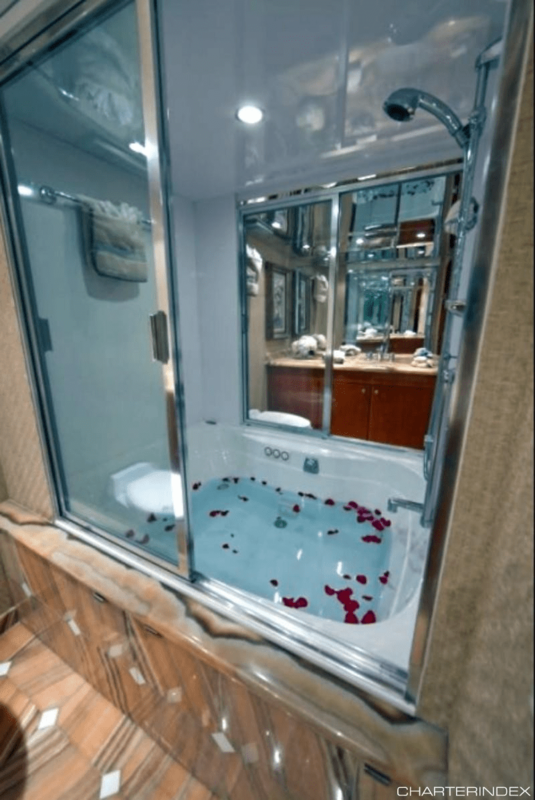 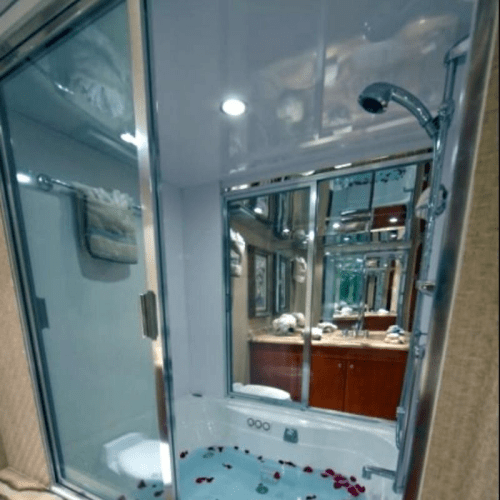 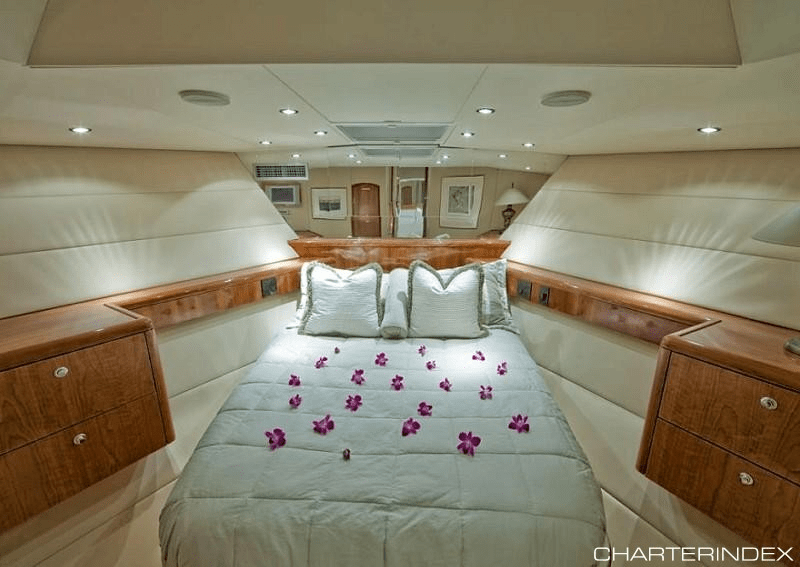 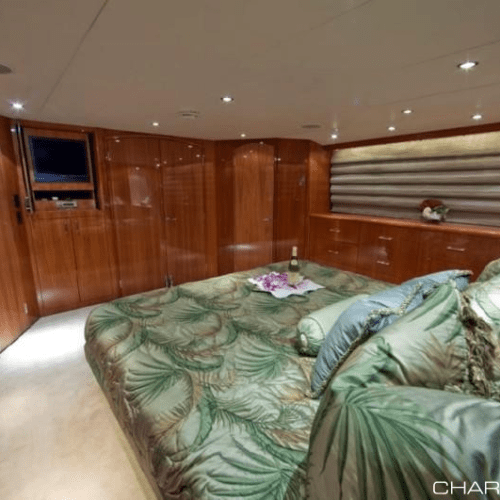 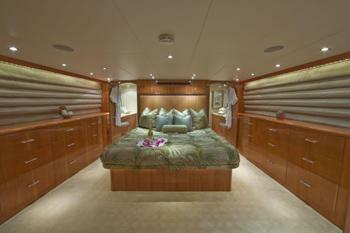 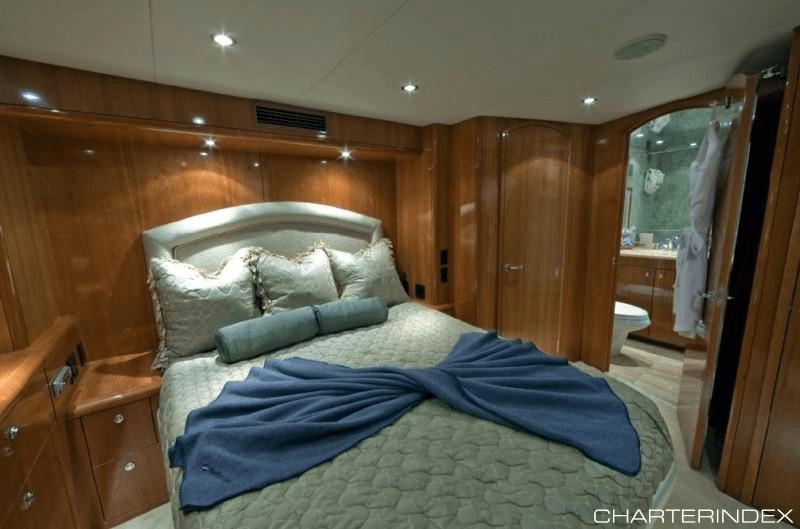 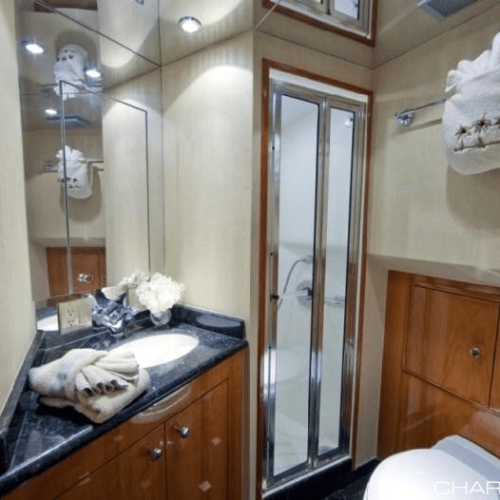 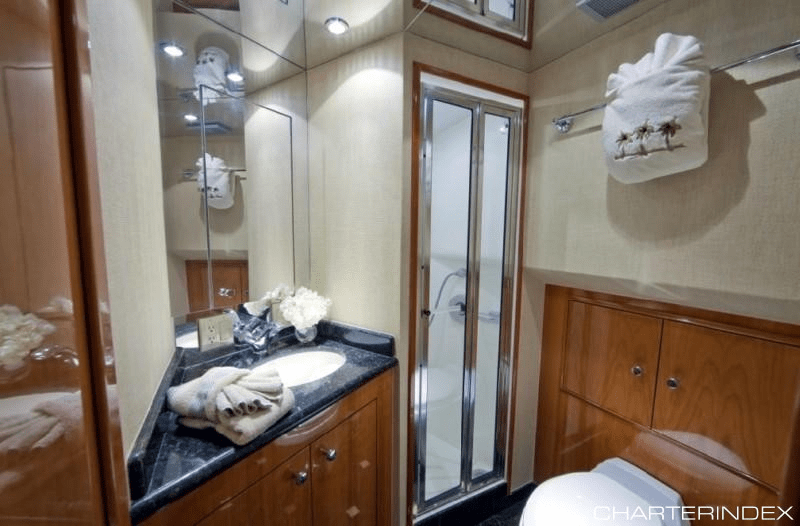 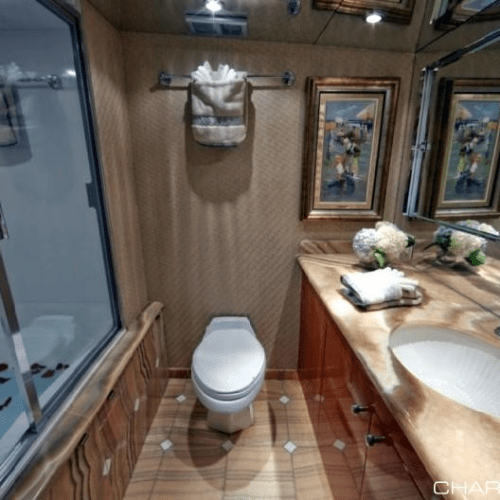 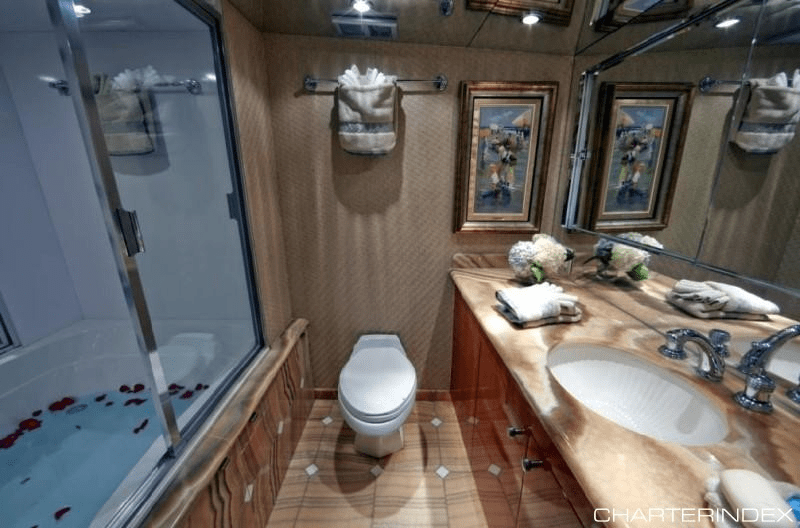 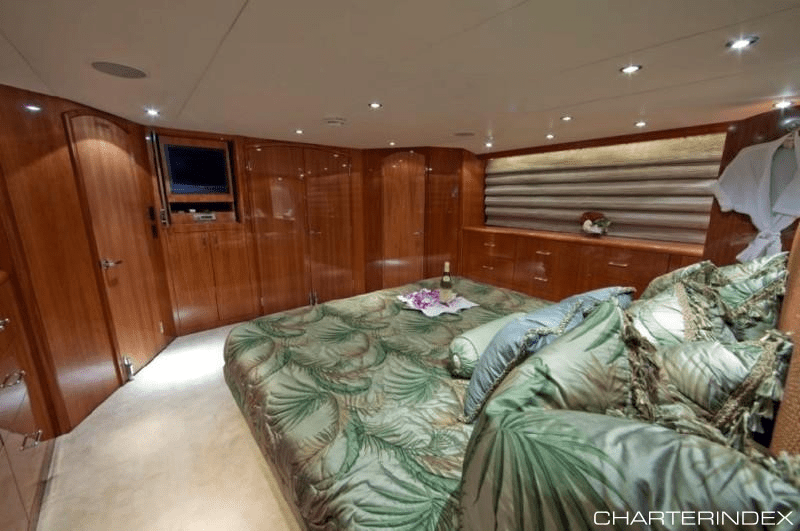 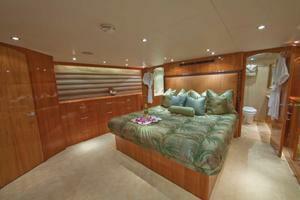 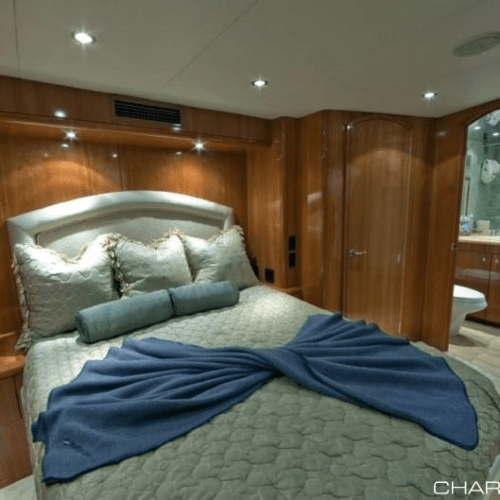 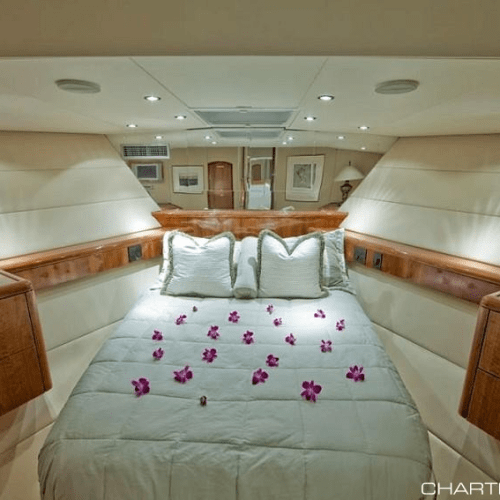 Three staterooms and restrooms accompany this sleek craft which sleeps six comfortably. 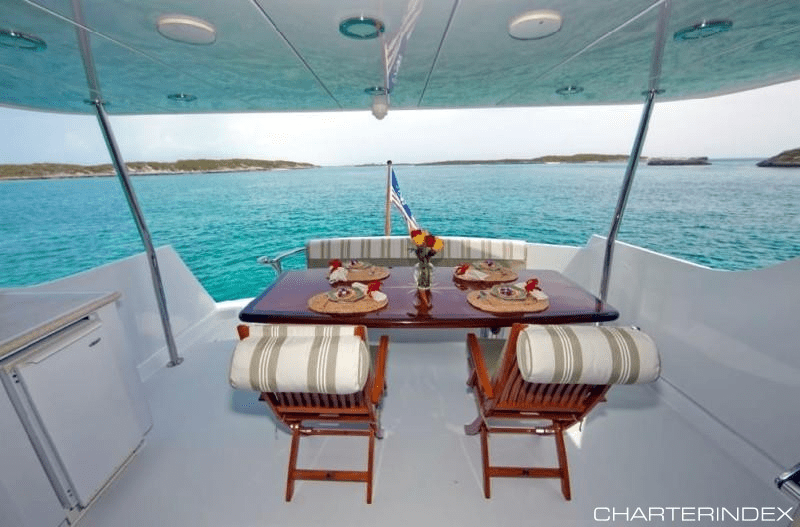 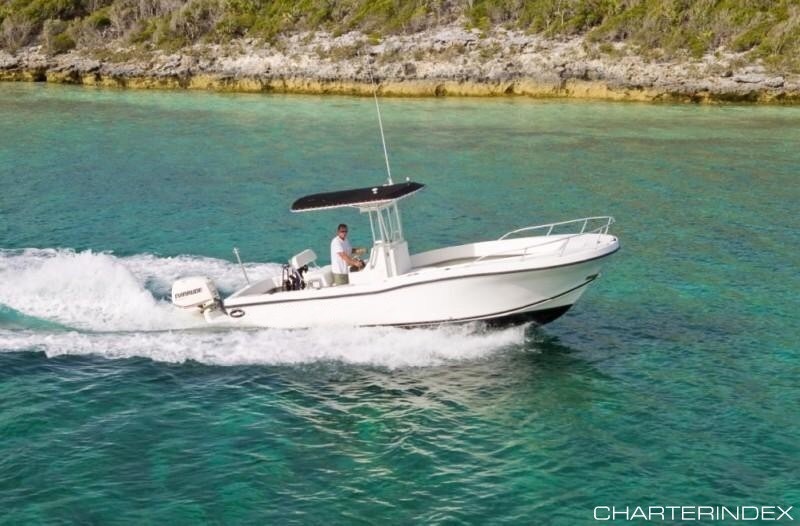 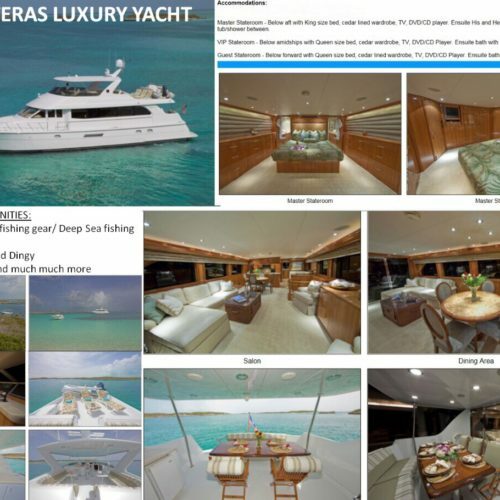 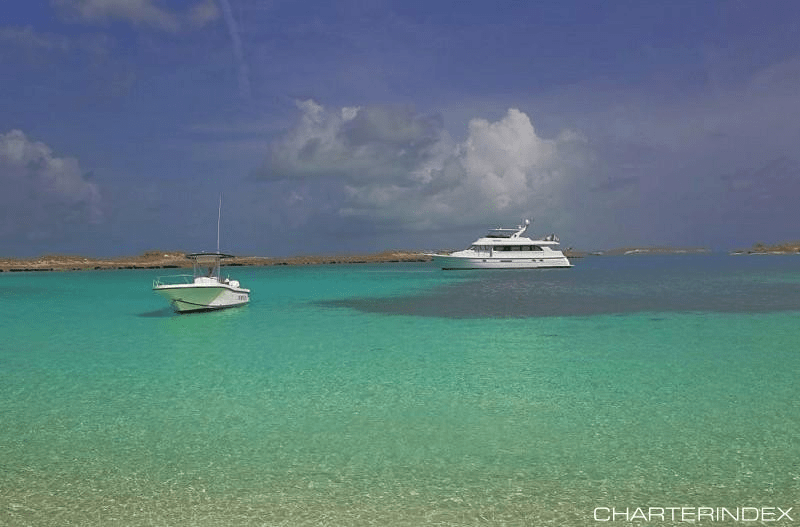 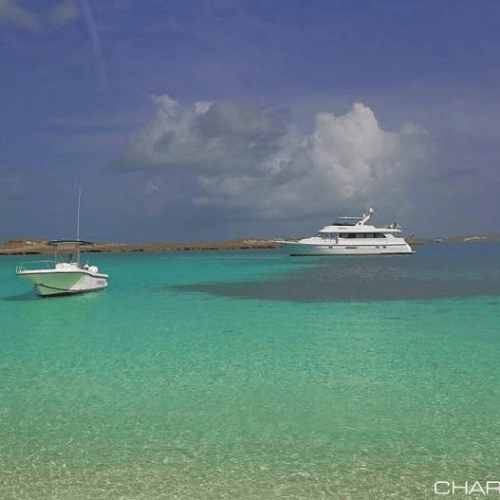 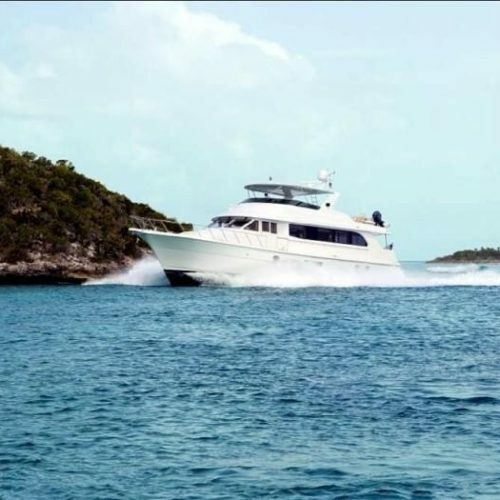 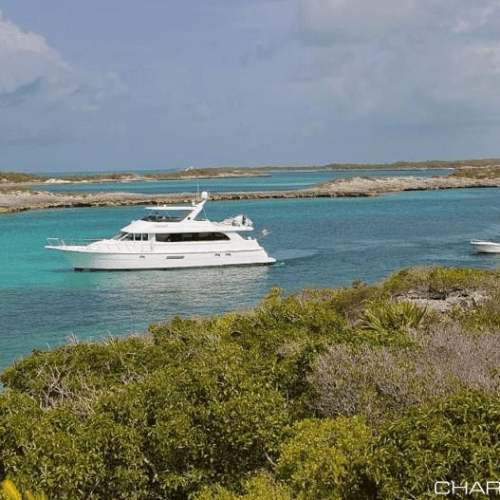 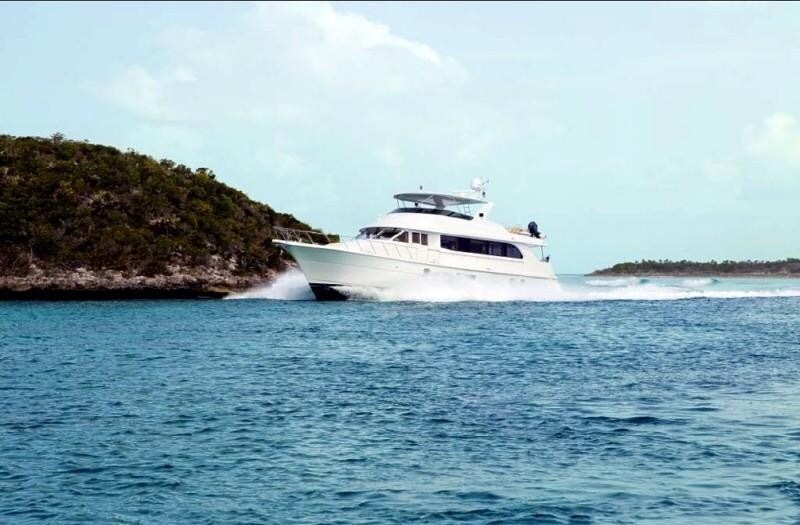 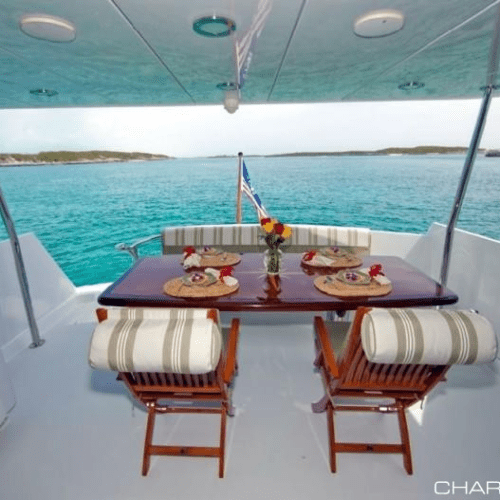 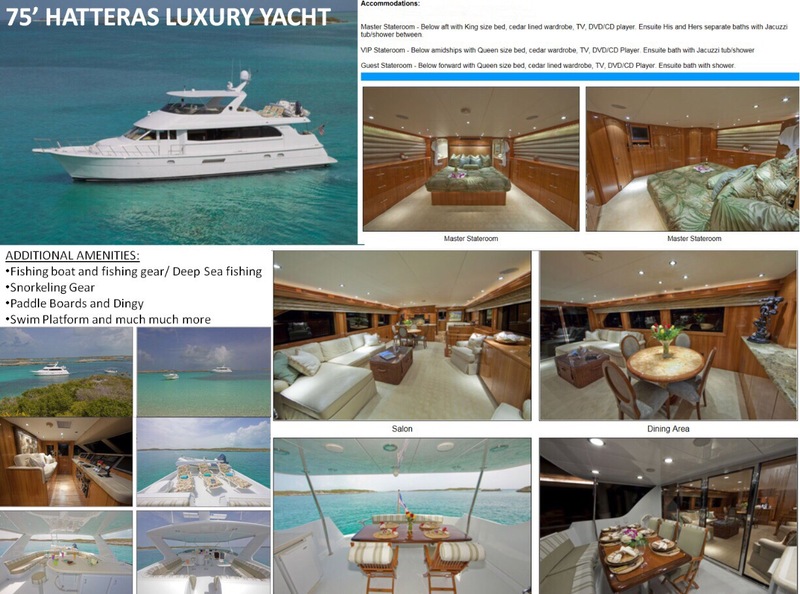 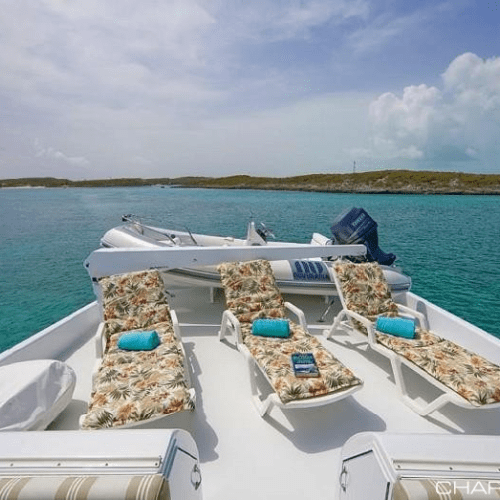 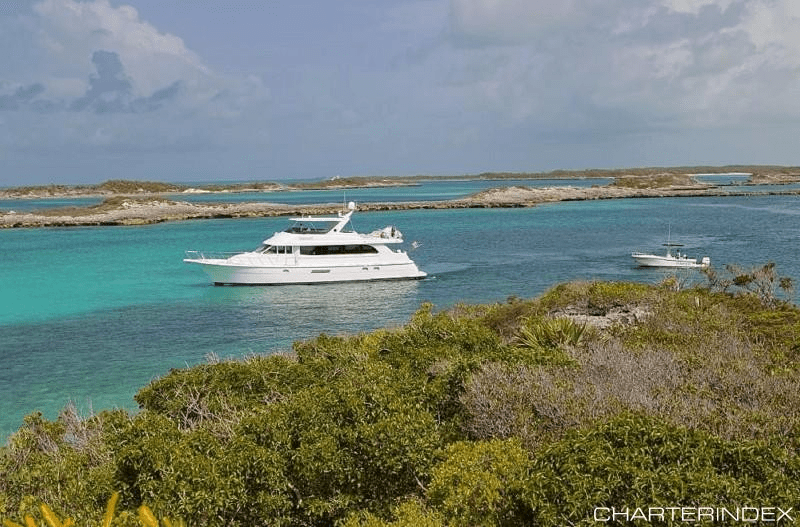 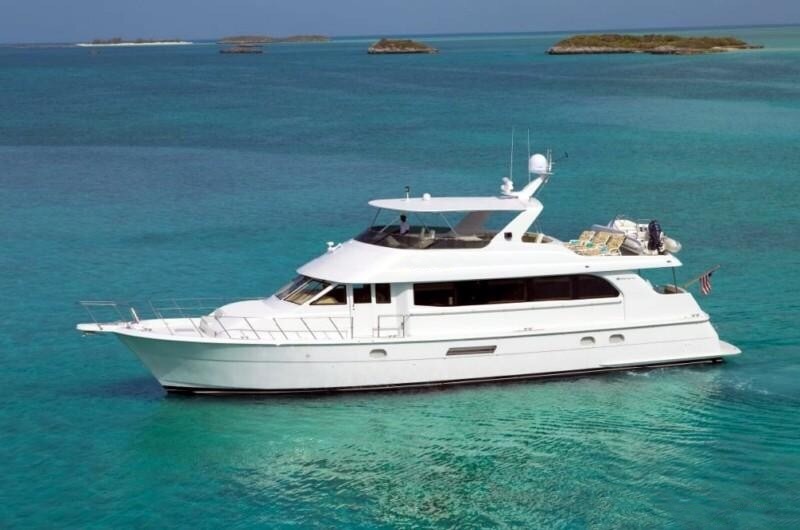 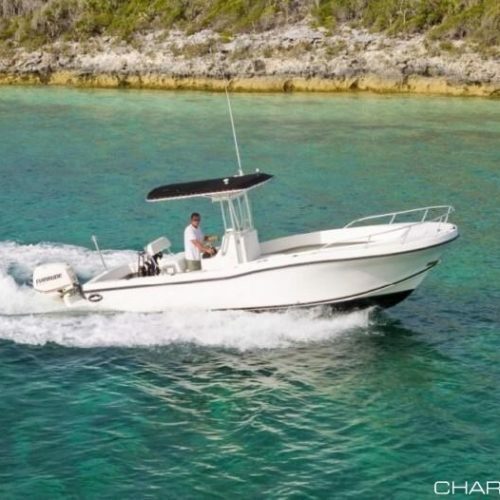 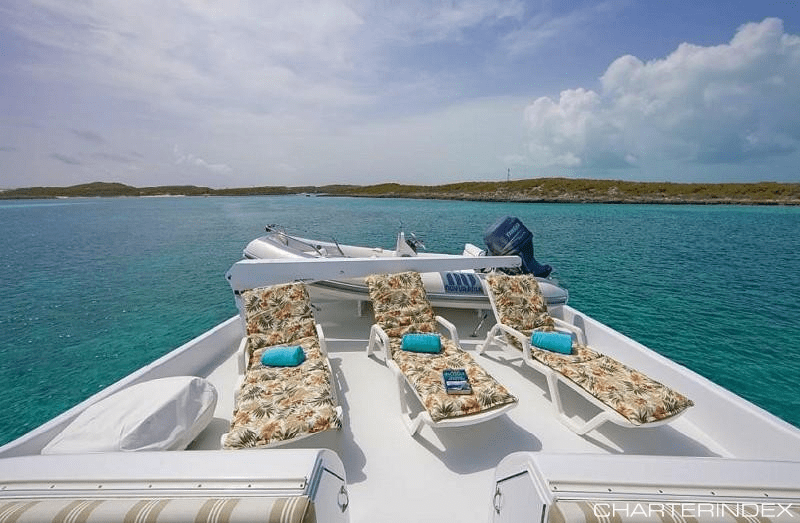 This well equipped vessel comes with a seasoned crew who are well versed in the different areas of the Bahamas.